My wife Hu Pinghua and I greatly appreciate the invitation to be with you this morning. 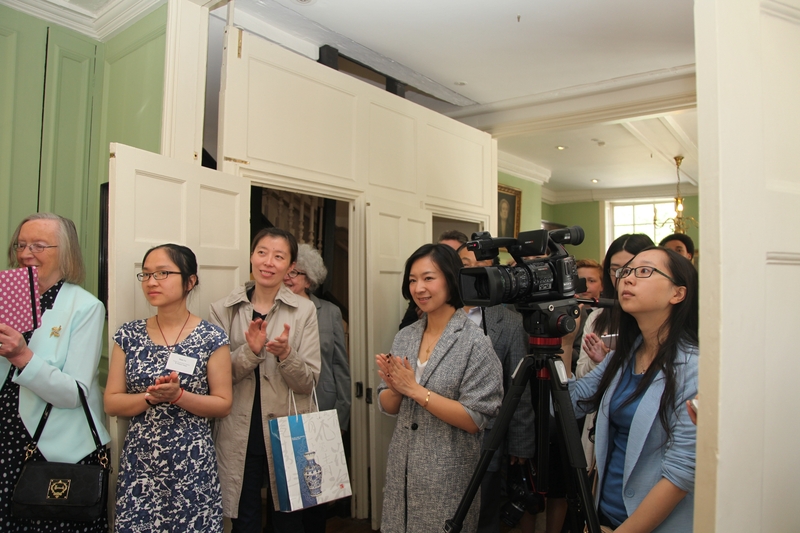 It is a real pleasure for us to witness the launch of the Chinese language audio tour of Dr. Johnson's House. I also wish to congratulate Lord Harmsworth and his family for their inspired initiative of preserving Dr. Johnson's House. I understand that back in 1911 the Harmsworth family took steps to preserve this historic house where Dr. Johnson created his famous dictionary. · They discuss his works. · They quote his words of wisdom. · They tell famous anecdotes about this 18th century British literary giant. We are deeply honoured to have this opportunity of visiting the house Dr. Johnson used to live in. Just now, I toured the house accompanied by the newly commissioned digital Chinese language guide. I am delighted to tell you about the guide! The guide was fluent, clear and accurate – a job well done! As I walked around the house, I found the cozy, exquisite, minimal yet classic decoration of the house most impressive. "Great works are performed not by strength but by perseverance". It was with extraordinary perserverence and willpower that Dr. Johnson has won such fame. He faced chronic illness, financial challenges and the heart wrenching loss of his beloved wife. · Its publication was received with great enthusiasm and appreciation. · Its authority and influence in the English speaking world for over a century and a half that followed is undeniable. · And its contribution to the development of the English language cannot be overstated. English went on to become a 'world language'. The significance of the Dictionary is only one of many contributions to Dr. Johnson's fame and the public interest in him over the years. There was also his uniqe character, personal experience and the many stories about him. "Arguably the most distinguished man of letters in English history." His sharp wit and encyclopedic knowledge never failed to puzzle his friend and biographer James Boswell. Boswell always wondered how Johnson managed to find time to write. We learn from Boswell how Johnson thrived on meeting people accompanied by eating, drinking and talking. Dr. Johnson was also a humourous and eloquent orator. He was always able to surprise his audience with epigrams of his creation. These words of wisdom not only brought light to London society and scholars of his time but also left a rich legacy to future generations. "When a man is tired of London, he is tired of life". Dr. Johnson had a strong interest in China. He loved Chinese tea and is said to have drunk it every day. We know from Boswell that Johnson wished to visit China and especially to walk the Great Wall. He had been urging his friend Boswell to visit China. Although Dr. Johnson did not get his wish, 231 years after his death, China, both its people and its language, come to him. I believe that man of Dr. Johnson's disposition would have loved to learn of his immense influence after he died. His friend Boswell mentioned a number of times that he always enjoyed praise. But, I wonder what the reaction of Dr. Johnson would have been had he known that his old house is now receiving many visitors from China every year. What would Dr. Johnson have made of this newly installed Chinese language audio tour? I feel sure he would have been delighted if he heard our words of praise either in English or in Chinese. 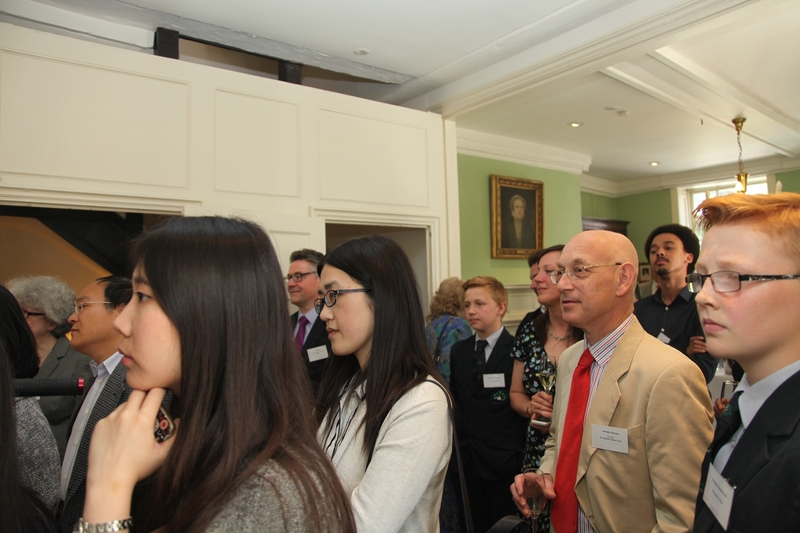 The launch of the Chinese language audio tour clearly shows that Dr. Johnson's House Trust values Chinese visitors. When I first travelled outside China in mid 1970s, there were no Chinese tourists in Europe, the Americas or Africa, let alone Chinese language tours. Today, Chinese tourists make 100 million overseas trips every year. As China and the world come closer, and as more and more Chinese set out for overseas destinations, Chinese language services have become more available. At tourist attractions, increasing number of countries, including the UK, are providing Chinese language services. Every year about 230,000 Chinese tourists visit the UK. And the numbers are increasing. Among these Chinese tourists are fans of English literature, history and language. For them an obvious place to visit is Dr. Johnson's House. The Chinese audio tour will help them get over the language barrier. This will allow them to appreciate more directly, vividly and comprehensively what they will see here. In this way they can gain a deep appreciation of the life and accomplishments of Dr. Johnson. He was truly a man of very great eminence in English literature as well as the British history and culture. 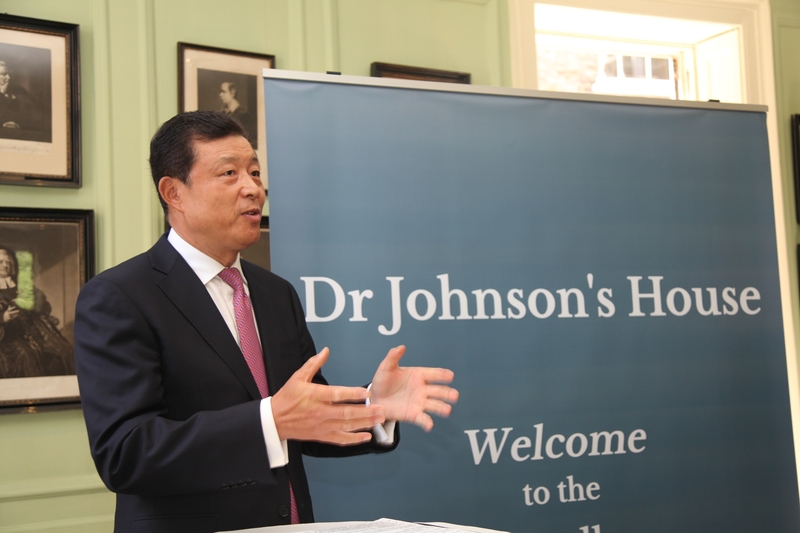 Last year, Professor Cheng Hong, wife of Chinese Premier Li Keqiang, paid a visit to Dr. Johnson's House while accompanying her husband on a trip to the UK. She has followed closely the progress of this Chinese audio tour project. Here, I am most honoured to convey her congratulations on the official launch of the Dr. Johnson's House Chinese audio tour. · Sharing and appreciating each other's culture will enhance mutual understanding and recognition between the people of our countries. · Sharing will bring our people closer. · And sharing will allow China-UK friendship to take deeper roots. Today's launch of Chinese language audio tour of Dr. Johnson's House will further enable that sharing. It will add one more brick to the edifice of China-UK friendship. It is a highly acclaimed achievement in China-UK cultural exchange.